This year’s winner will be honored at a celebration held on November 6, 2018 at Avenues: The World School in New York City. 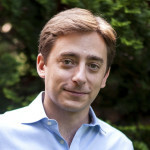 Our keynote speaker will be Evan Osnos (above), New Yorker staff writer and award-winning author of Age of Ambition. Deadline: Friday, October 5 at 11:59 pm EDT. What costs will YCW cover? YCW will cover the cost of the winner’s flights to and from New York City, lodging, and, if applicable, related visa fees. There are no strict eligibility requirements. Nominees are not required to be actively involved in Young China Watchers. All former and current members of the YCW leadership team are ineligible. This includes all YCW chapter leaders, all global leaders, and all members of YCW’s Global Editorial Team. Former and current board members of the YCW are also ineligible. There is no strict age limit. Because the majority of Young China Watcher members are between the ages of 25 and 40 we will be looking to honor an individual who has made extraordinary contributions to the China field and who reflects the profile and character of the YCW community. We may recognize younger or older nominees, but most finalists will fall within the age range of our community members. Is there a profile the nominating committee and judges are looking for? No. However, we expect our shortlisted nominees and the winner to reflect the high ethical and professional standards of the YCW community. I am a member of the press. How can I learn more about the award? Please download our press release here. For further questions and interviews please contact our two members of the organizing team: Charles Patterson and Michael Laha at award@youngchinawatchers.com.